Will APIs help in IOT adoption? The value of the Internet of Things does not lie in the individual products themselves, but in the connections they can make and the interaction between devices and data to create killer services. Maybe the biggest hurdle in the way of realizing this vision is the inability of the industry to agree on common interfaces and usage models for IOT devices. Is it a new problem of its kind that the technical world needs to deal with? Not really. We’ve had multiple cases of similar problems in various domains in the past. Have they always ended in one standard taking over while all the other candidates disappear? Most certainly not! The travelers among us are very familiar with the most annoying problem of connecting to power outlets in different counties. Why is there a need for (at least) 5 (!) different connector types, each very different from the other, different voltage levels or frequency specifications? Technically, of course, there is no need. 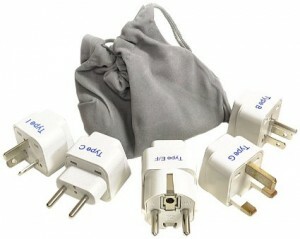 Each one of the 5 could be used as a universal power outlet standard and make everybody’s life so much easier. Will we ever live in a world in which all power connectors are compatible wherever we go? Not in our lifetime! Regulatory constraints, infrastructure costs and maybe some national pride, will make sure that this never happens. The reality is that we live in a fragmented world, and the best we could do is to adapt our equipment, processes and tools to handle this complex situation. How is that related to IOT, you wonder. We have here a brand new technology that is designed from scratch. Surely, we, the engineering community, have learnt from past mistakes and are going to do things right this time. Well, not likely… After all, there are now a multitude of competing standards organizations that lay claim to being the IOT universal interconnect standard. The W3C has compiled an overview that currently counts 32 different consortia. This puts developers of applications and devices for the Internet of Things in an impossible position that will ironically result in a sub-optimal outcome for the ecosystem. Any potential IoT standard rises and falls with developer adoption. It is third party manufacturers that need to be convinced to buy into an ecosystem and design products with that ecosystems standard in mind. What this will lead to is a necessary segmentation of the market and delay the creation and adoption of new services. In the power outlet world, the problem was somewhat alleviated with adaptors that can connect any connector type to any wall socket type. Not optimal, but we all live with it. Can there be a similar solution in the IOT world? API based platforms, that allow translations between different communication standards and the different usage models, can be the solution. Tune in to our next blog to read more about how API platforms can handle the complex task of translating IOT communication protocols and usage models! This entry was tagged APIs, IOT, iot services, smart devices. Bookmark the permalink. API based platforms are already pushing IoT forward. Having seen the opportunity, many System Integration companies have acquired a few of them and more such acquisitions will happen as companies start to hedge their bets in IoT. With a lack of standards, it becomes even more important for these platforms to support IoT devices in a way that makes app developers agnostic to the hardware specs and lets them focus on their business use-case. Honomount Rawat on Will APIs help in IOT adoption?